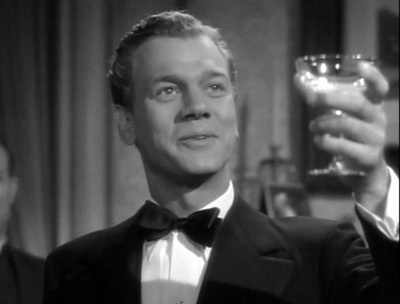 I have two huge classic Hollywood crushes, both highly underrated: Joseph Cotten and Joel McCrea. But it is Cotten who we celebrate today at Comet, born on this day in 1905 in Virginia, making Mr. Cotten even more appealing to your southern writer. But if his smooth voice, wavy hair and good looks aren’t enough for you, Cotten is a darn good actor. He stars in two of my favorite films “Since You Went Away” (1944) and Alfred Hitchcock’s “Shadow of a Doubt” (1943) as well “Citizen Kane” (1940), which the American Film Institute has named the greatest film of all-time. He was directed by Alfred Hitchcock and Orson Welles. Some of his leading ladies include Bette Davis, Ingrid Bergman, Loretta Young, Claudette Colbert, Jennifer Jones, Ginger Rogers, Joan Fontaine and Barbara Stanwyck. Before films, he performed in the stage version of “Philadelphia Story” with Katharine Hepburn. 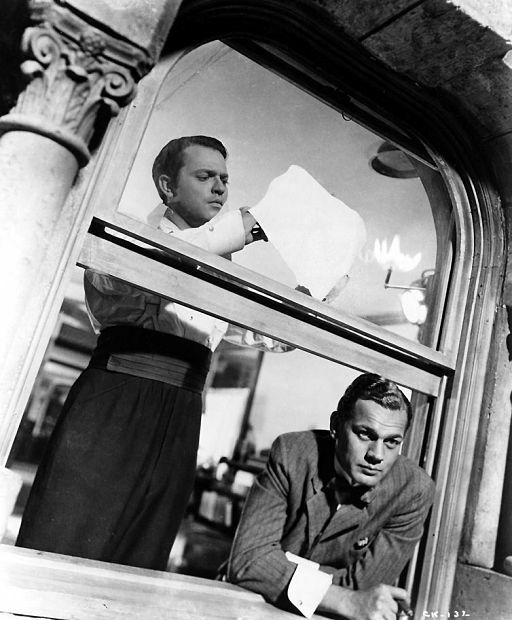 The film was originally set to open in Radio City Music Hall in February 1941, until Hearst stepped in, said Joseph Cotten, who played Jedediah Leland in the film. The executive producer, George Schaefer, was offered money to destroy the picture and the negative. Schaefer refused to be bullied and was able to get bookings for the film in a couple of independent movie houses, Cotten said. Cotten told Hitchcock that he was nervous to play a murderer and wasn’t sure how they behaved, he wrote in his autobiography. While Cotten filmed “Her’s to Hold” with Deanna Durbin, a misunderstanding occurred. Cotten was out late and had an early morning call for a radio show. He left a message with his wife Lenore that he would be staying in his dressing room (69). Cotten and Durbin in a scene in “Her’s to Hold” with Murray Alper in the background. When he left his dressing room that morning, he found a security guard waiting outside who greeted him good morning. 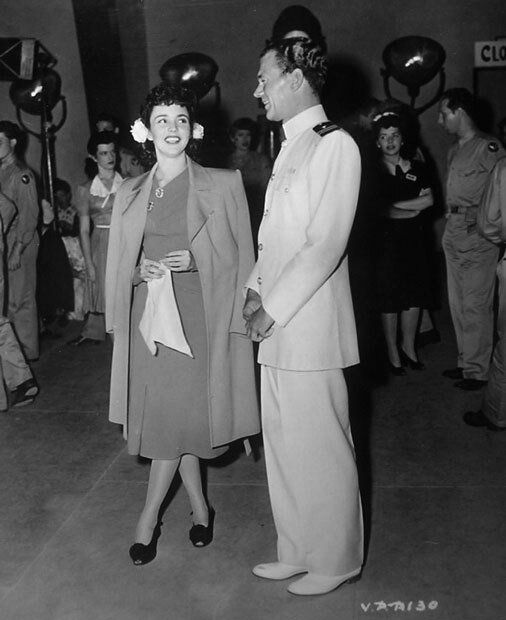 When Cotten met Durbin that morning in the commissary, he found out she had also stayed overnight in her bungalow. Hedda Hopper got a hold of the story. “The item that appeared in Hedda’s column was not the personal kind of reference that one would clip for a scrapbook, or care to preserve in any of those elaborate, leather-bound gift journals inscribed ‘Golden Memories,’” Cotten wrote (71). After the incident, he called Hopper up and said if his name was mentioned again, he would kick her in the behind. She did and he did. Cotten on the set of Since You Went Away with Jones. The two starred in four films together. He remained friends with Jones and Selznick. “Claudette (Colbert) was one of the most complete, humorous, hard-working and delightfully, almost shockingly, honest creatures I’ve ever worked with, Cotten said in his autobiography. During the filming, Robert Walker and Jennifer Jones were going through a divorce and it was rumored Jones would marry David O. Selznick after the divorce was final. “Claudette and I, each thinking that we were sitting on a powder keg, remained silent. The picture was not in any way affected by their romance. Cotten said Temple had tried to convince the director to let her kiss him in the film. But in the movie, it was Jones’s character who had the crush on Cotten. “The poor girl had to gaze at me adoringly non-stop,” he said. “I enjoyed her company. 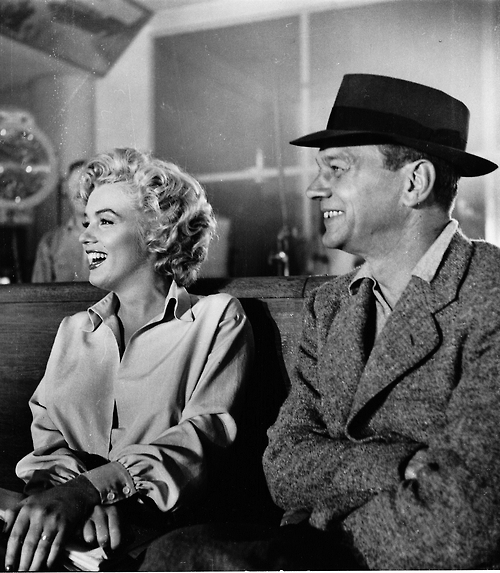 I enjoyed working with her,” Cotten said about working with Marilyn Monroe in her first starring role (110). Cotten recalls hearing about her death and receiving a phone call from the Associated Press for a comment. Cotten was married to his first wife from 1931 to 1960 when she passed away from leukemia. 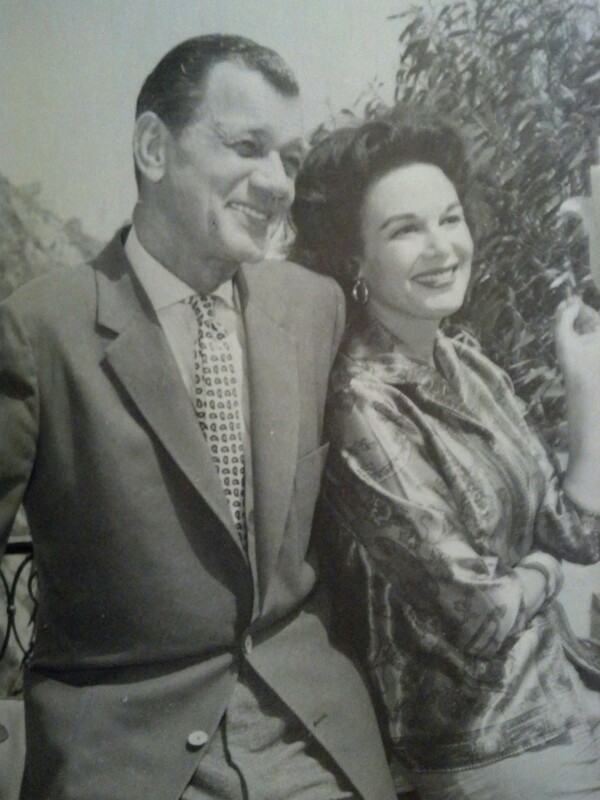 He married Patricia Medina from 1960 until his death in 1994. Cotten said she was the most beautiful woman in the world. 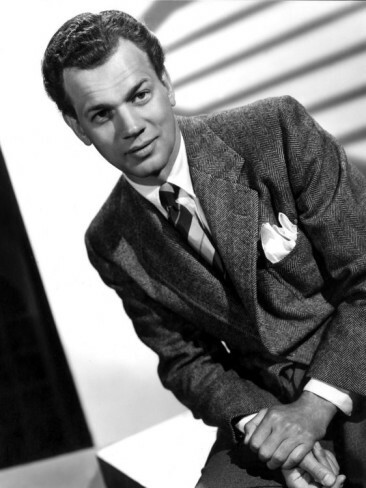 Happy birthday, Joseph Cotten, one of the best actors of classic film. This entry was posted in Star Profile and tagged Alfred Hitchcock, Joseph Cotten, Marilyn Monroe, Niagara, Orson Welles, Shadow of a Doubt, since you went away by Jnpickens. Bookmark the permalink. Lovely tribute and pictures. My favorite of Joseph’s is SHADOW OF A DOUBT. Oscar worthy as the chilling Uncle Charlie. Even in a little western like UNTAMED FRONTIER ( with Shelley Winters), he makes an impression. My favorite of his performances was in SHADOW OF A DOUBT, of course. He was very good playing against type (at the time). He also gave a fine performance in Welles’ THE MAGNIFICENT AMBERSONS. That probably is my favorite of his roles as well. The scene I posted is one of my favorite film scenes of all time. It’s been a long time since I’ve seen Ambersons, but I probably should revisit it. Love, love, love the clip you posted from “Shadow of a Doubt”. He gives a chilling performance. Happy Belated Birthday to a superb actor who always gave us audiences our money’s worth! I love that clip too, one of my favorite movie scenes of all time. Don’t you feel like he deserved at least an Oscar nomination?! Great tribute to a wonderful actor!